There are few places in the world that are more alluring or magical than the islands of Greece. 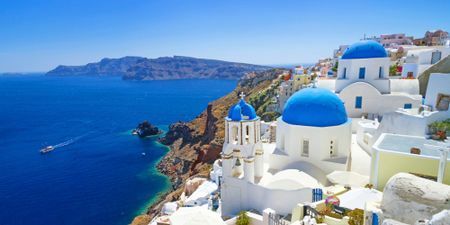 From the whitewashed facades of sloping seaside villages to the sun kissed, serene beaches, a honeymoon in Greece is as close to perfection as we can imagine. Greek sunlight endows the landscape, creating supersaturated colors and an incomparable light. Truly, there is nowhere else in the world where the sea and the sky are so flawlessly blue. Following a wedding, there are few places on the planet more idyllic, romantic and alluring than the Cyclades Islands in Greece. Visit Athens, Mykonos and Santorini on this classic Greecian honeymoon. 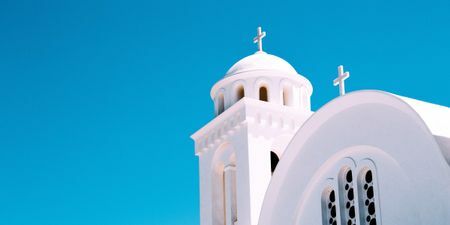 Take time to visit the major cities and attractions and several of the Greek island chains on this three-week itinerary. 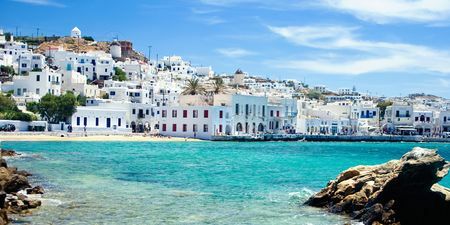 Visit the don't miss islands of Santorini and Mykonos and the lesser-known islands of Naxos, Syros and Ios. Visit ancient monuments that seem to spring from every corner with the most famous of them being the Parthenon and the new Acropolis museum collection. Continue your discovery with a mainland excursion and visit sites of great importance to the world heritage. Santorini is the best Greek island for honeymoon and the most famous one too due to its unique beauty that cannot be found anywhere else in the world. Santorini is home to some fabulous hotels built following the Cycladic minimal architecture with private terraces, uninterrupted views towards the Aegean Sea and infinity pools. From glistening covers with sandy beaches to noble mountaintops, through fertile valleys & steep gorges, this island bursts with the relics of numerous civilizations & astounding natural beauty... all ready and waiting for you to discover! Often described as a smaller version of Mykonos, the islands of Paros and Ios have a character all their own. Avoid the crowds and still experience the sprawling landscapes, pure blue skies and turquoise water. These islands will provide an authentic experience of Greece unknown to most. Our travel professionals - Luna Planners - are available to help advise, book, and perfect your itinerary. You can chat and interact directly with our advisors to get assistance fine-tuning and booking your trip.